An arrest warrant was issued this morning for 22 year old Waylon Dehaven Rhodd in connection with the homicide of Jessie Len Trimble III. Trimble’s body was discovered in a home in the 200 block of South Elm early Saturday morning by the resident of that home. Trimble did not live there. A criminal warrant has been issued for Rhodd for felony charges including Murder in the First Degree; bond has been set for $1,000,000. 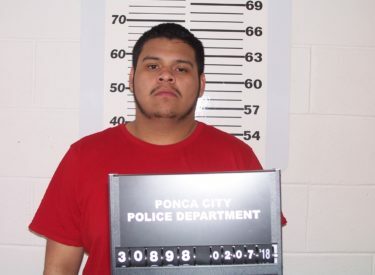 At 7:35 Saturday morning the resident walked into the lobby of the Ponca City Police and reported that he found a man covered in blood in his home. Ponca City Police Officers and Ponca City Fire Department EMS responded to the home in the 200 block of South Elm where they found the 39 Year old victim who had what appears to be a single gunshot wound to his head. Ponca City Police Officers are investigating the death with the assistance of the Office of the Chief Medical Examiner. Anyone that has any information about this homicide or the current location of Waylon Dehaven Rhodd should call the Ponca City Police Department or the Ponca City Area Crime Stoppers at 580 762-5100. You will remain anonymous and may receive a reward of up to $1,000.